Blog posts tagged "juniper ridge"
What do you do when nothing smells better than the forest? 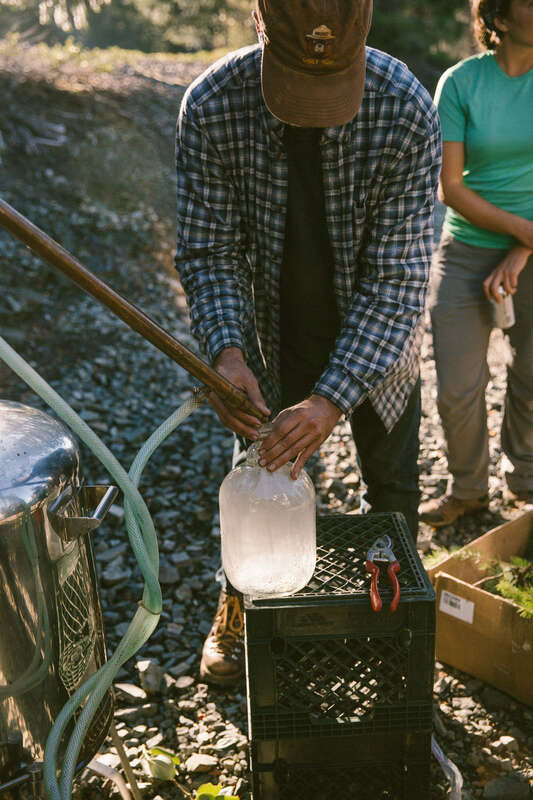 You bottle it up and bring it home - and that's exactly what Juniper Ridge, a California-based wilderness fragrance company does - with the utmost sensitivity for nature. 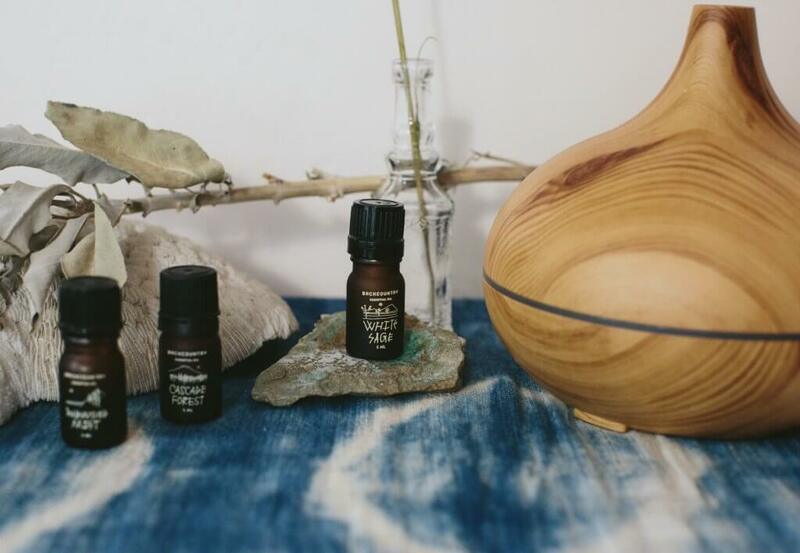 Hall Newbegin founded Juniper Ridge in 1998 and almost two decades later, the company is flourishing and offers a range of all-natural essential oils, incense, body wash, smudge sticks, tea and more. We asked Hall to share the story of how Juniper Ridge was conceived. Very quickly, it was obvious - he has a very special love for nature. I didn’t have a business plan or philosophy or anything when I started my business. I didn’t envision a fully-fledged plan, I just wanted to make something beautiful. I had my truck, clippers, a copy of Jepson’s Guide to California Plants and I just spent time out there learning. Smelling, crawling around on the ground and sticking my nose in the dirt. There were so many different teachers who took me under their wings and started teaching me about the plants. I’ve never been very good at the Marketing/Business side of the industry. For me, it’s all about the plants, the places and that quiet feeling that I get when I’m out on the trail. That’s the germinal idea that inspired the beginning of Juniper Ridge; that rich quietness that descends on you after you’ve been out backpacking for two or three days - I live for that feeling. I’ve spent my entire adult life learning about plants and places. I dabbled in some medicinal herb classes but found the classroom setting a little inappropriate given the material. I wanted to be out there. I spent my twenties learning plant names and wild mushrooms, learning about harvesting from various teachers and fellow wilderness junkies. I spent my thirties working with plants and getting more intimate, and now, well, it keeps getting deeper and more interesting. I feel like nature is this giant book and I'm only about halfway through the first chapter. It feels like, the more I learn, the more I realize I don't know. I'm really into paying attention to my intuition when I'm out there now, if my nose is telling me “wild bolete mushrooms,” I dive off trail and start looking. I don't know if it's something I smelled or some kind of primitive hunter-gatherer thing I've awakened, I just know my instincts. I’m just really interested in developing that intuition. We’re animals and we see nature with our noses. The things we’re putting in that bottle, well, people can’t help but be taken someplace. You’re going to have a deep emotional response to some of the things we make. Sometimes I stick my nose into an old rotting log, a patch of wet soil, or a handful of redwood and I start breathing it in and, I don’t know, I just can’t get enough of it and it starts to make me feel really good. This can lead to awkward scenarios on the trail when I’m laying on the ground with my face in the dirt moaning in ecstasy! We’re animals, all of us - it’s the easiest thing to forget- we’re animals and we see nature through our noses. Enjoying “scent” doesn’t just belong to me, or the 12 folks who work here, or the handful of perfume noses in the world, or the best chefs. It belongs to all of us. It’s our heritage as humans. “Scent” doesn’t happen only at a department store perfume counter, it happens when you’re eating, drinking wine, beer or coffee, gardening, and hiking. Please do pay attention. Your nose has so much to give you. It’s given me so much pleasure in my life, it’s just such a rich world and it’s there for all of us. View the products Hall and his team have created. 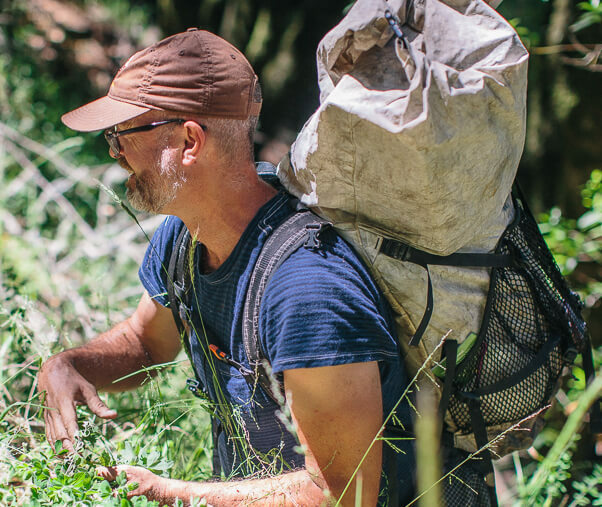 We recently had another chat with Hall Newbegin, founder of Juniper Ridge, to learn more about what inspired him to develop the California-based wilderness fragrance company. Tell us about the process of producing your essential oils. What’s that look like from harvest to bottle? We start by choosing a place. That location dictates what and how we harvest. It’s pretty straight-forward. A small group of us sets out on a trail and we go deep. We all stick our noses in the dirt and come up with a consensus on what makes that place smell the way it does. Once we’ve figured that out, we start harvesting. Take Redwoods and other conifers of the West, for example. We get a lot of our redwood essential oil from trees that fall down in winter storms. We are commissioned as the cleanup crew and collect materials from the site. If we're not collecting fallen trees, we obtain permits from the US Forest Service or State Parks to venture into the woods and trim the bottoms of tall trees. The trees respond well to pruning, and of course keep growing taller and taller, well out of the range of even the most acrobatic wildcrafter. Neither the trees nor the ecosystem are harmed by this type of careful pruning. Everything we do is done with permission and harvested sustainably. What makes your essential oils unique and stand out in quality? There are no shortages of reasons we’re unique - we’re the freaks of the industry! Our problem traditionally has been that we’re so far out there no one understands what we’re doing. We’re the only aromatics company in the world doing what we’re doing; harvesting the natural materials extracting the aromatics from beginning to end, so we have complete control over every step in the process. We’re also the only company working with local western plants from the mountains - so we have that added differentiator. One hundred years ago, before the advent of synthetic / petrochemical fragrance, this would have been totally normal, but today it’s just freakish. You harvest ingredients straight from Mother Nature. How do you ensure that you are doing this ethically, as stewards of the land? It’s a long, thorough list, but following it in detail keeps us diligent and responsible in our work. In addition to meeting the qualifications on this list, we make sure to only take excess growth, that is, smaller plants that won’t survive in the middle of larger, mature plants. Generally speaking, we harvest one plant for every hundred you see. In addition to ensuring we harvest plants sustainably, we also give 10% of our profits to groups that defend western wilderness. In the beginning I used to write checks for $50 bucks to wilderness groups and they’d be like “thanks” but now we can write checks for thousands of dollars to wilderness groups - if I can use this business to put that kind of focus on protecting the few large remaining scraps of western wilderness, wow, that’s great. What aspect of what you’re doing at Juniper Ridge most excites you? Most people dream about getting bigger, but I dream about getting smaller, more specific and weirder. The only way forward for us is to keep digging into beauty. I want our priority to always be doing our best work to capture the spirit of a place and put it in a bottle. As long as we’re digging deep into the wild places we love, we can keep bringing you aromatic snapshots of our beautiful world. How do you come up with new ideas? What gets your creative juices flowing? It’s all so intuitive. It’s really more artistic than scientific. When I’m out there on the trail, my rusty gears start turning in my head. I smell the dirt and leaf covered logs and it just gets me going. Did you have any mentors or creative influencers that inspired you on your journey? Neil Young, Iggy Pop, Jerry Garcia and Lou Reed come to mind immediately. They were the first people to whisper in my ear and tell me to go out there and do the weird thing. When I was 13 or 14 years old, I listened to “Walk on the Wild Side” over and over again. Lou Reed was singing about street hustlers, transgender folks, junkies and a world so much bigger than anything I ever knew growing up in suburban Portland. It freaked me out, but I figured, when you’re frightened by something, it usually means you should be checking it out. Around that time, I started going off script of what my family and the world expected of me. Then later on it became all about the nature and place based freaks - Gary Snyder, Wallace Stegner, David Wallace, all those folks. They were the ones who started singing more directly to me about place. I’m a wilderness perfumer, which is a job that’s never really existed before and may never again. I’m a total freak, so it shouldn’t surprise you that my inspirations and heroes are freaks and wanderers, people who aren’t afraid to chuck everything that came before them and try something new. What inspired you to produce tea? How did this product innovation come about? We make things that bring the mountains into people’s day-to-day lives. So whether that’s done through wild harvested aromatics, or a wild harvested tea … I just love it all and get so excited about it! I started making those teas as some of my first products I sold at the farmers markets 20 years ago. They languished in obscurity for years, but I didn’t care. A normal business would have discontinued the teas a long time ago, but I do things for love, never for money. So I stuck to them because I knew they were beautiful and sure enough now they are one of our strongest sellers. If you make something truly beautiful from the inside out, eventually you’ll find your audience. Douglas Fir Spring Tip Tea or White Sage and Wild Mint? I’m going to go with white sage and wild mint. I tend to gravitate towards southwestern / desert plants in general, but this tea just oozes real magic for me and immediately transports me to the wild sage fields that I’ve been visiting every year now for 20 years. Red Wood Mist essential oil or Cascade Forest? Redwood Mist! I love the redwood country so much, and even though I grew up on the slopes near Mt Hood in the cascades and while I love Cascade Forest because it evokes those Summery, fir and pine alpine areas of my youth in the peak of wildflower summer, Redwood Mist is more emotionally resonant and complex for me. What’s your all-time favourite quote that you live by? It’s who I am and what I’ve done with my life. I always see everything through the lens of place. And yes, once you’ve found your place, become part of it in a deep way - smell the dirt, use your animal senses to engage with the place, and then the taking care of it and the stand up for it part just naturally flows from there, because you won’t be able to help yourself - you’ve fallen in love and you’d do anything to protect it to make sure it’s ok. Learn more about Juniper Ridge and their products. The blessings of sweet incense, it adds such mystique to an atmosphere and it can add a ritualistic touch to quite moments at home. Dim the lights, draw a bath and light some of the finest incense available today. Juniper Ridge has gone above and beyond to create incense that captures the heart and spirit of nature with grace and aromatic accuracy. Juniper Ridge is a dedicated steward of the wild lands where they ethically source the raw ingredients that go into their products. Ethical wildcrafting means going into nature with reverence to harvest from its bounty in sustainable way. Sourcing directly from nature in this way builds a harmonious relationship with the land and as well as creating an economically viable environmentally friendly company. Juniper Ridge products are truly unique, sourced from remote areas of the west coast, these are relatively untouched environments where plants thrive, places we may never get to visit but we can at least experience the exquisite scents of these places. 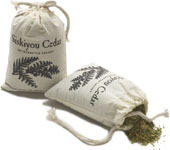 Siskiyou Cedar is found only in the remote, coastal mountains of the Pacific Northwest’s Siskiyou country. 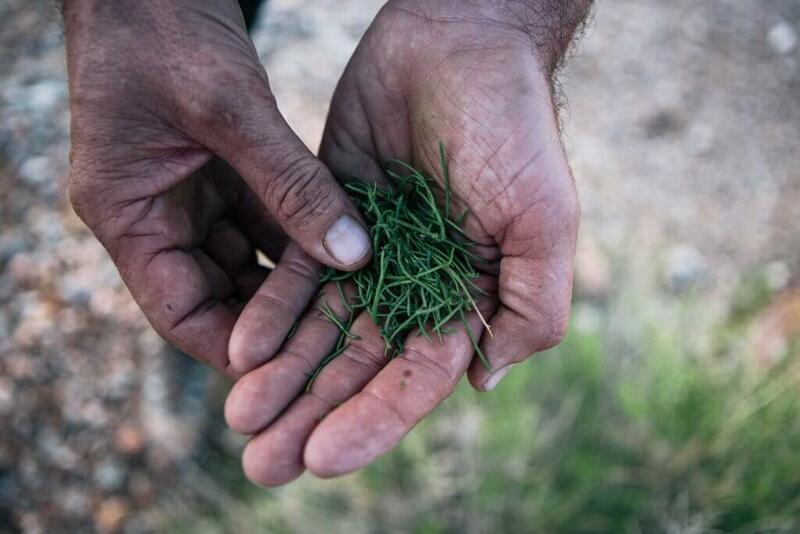 Most Cedar incenses are made with the perfumey- smelling essential oil of European Cedar—that's why they don’t smell anything like the Western Cedars we know and love. This is the only incense anywhere made with real Cedar from the Pacific Northwest. Also called “Ginger Cedar” for its highly unusual spicy smell, Siskiyou Cedar is found only in the remote coastal mountains of the Northwest’s Siskiyou country. Its soothing odor is extremely evocative and was said to have strongly affected 19th-century seamen who sailed schooners made from the fresh wood—“The odor grew and grew on them till they were almost mad with it” (Donald Peattie). I hope it doesn’t drive you mad! This is the real smell of Siskiyou Cedar and the gorgeous, rugged country in which it grows. Burn a stick and let your mind drift away to the forests of the rugged Northwest. Here it is folks, the world’s first and only 100% White Sage incense with all the magic of real White Sage, because, well, that’s all it is. White Sage is a traditional space purifying plant used by native American tribes. It is great to use to clear unwanted energy from any space. Folks, I kid you not, Sweetgrass has a heavenly, sweet, subtle, warming, vanilla like aroma. Sweetgrass must have been one of the treasured plants of prehistoric people, because while it doesn't spread readily by seed, it managed to make its way to every inhabitable polar region, from Siberia and northern Europe across the Bering Straight to Alaska and northern Canada. In more recent times, Sweetgrass has become a favorite of the Native tribes of Canada and the American West, and is used ceremonially along with White Sage. When burned, it has a lovely, soft, vanilla-like scent and centering energy. You will be pleased with your purchase as you burn this incense and inhale the soft, heaven like aroma of sweetgrass. I remember when I first smelled the soft scent of sweetgrass burning, it brought quite reflection to my mind with its sweet centering properties. Sweetgrass is a sacred plant burned during times of prayer and ceremony. It is said to be please to 'good spirits' and is known to attract positive energy. No tree is more deeply identified with the Pacific Northwest than Douglas Fir. Second in size only to the two California Sequoia species, Douglas Fir grows to enormous proportions and forms pure stands over much of the Northwest. When burned, it has a wonderfully cozy, woodsmoke scent that might remind you of that time you camped on the Oregon Coast underneath the moss bejeweled grand daddy trees, and the light scent of Doug Fir campfires hung in the air as night settled in. So enjoy this reminder of the big tree and sea, mossy rock and glacier country of the Pacific Northwest. You may live in the middle of the country, on the eastern seaboard or even in another country and you may have visited the great Pacific coast and areas of the rugged Northwest. You then know how wonderfully magical a place it is. And if you haven't, I suggest a visit to our store for your first introduction to the majestic plants that hail from this region. You will be delighted by their gracious earthy fragrances.